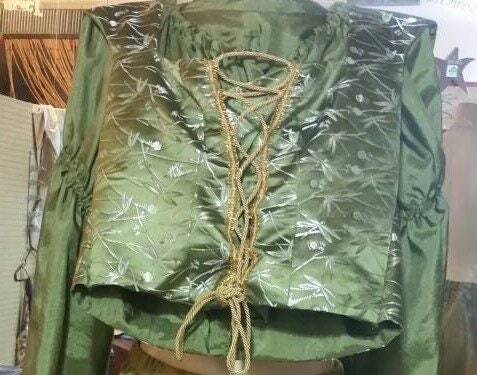 Gypsy or Renaissance Festival Costume. Deonette is a 3 piece, fairy skirt with attached overskirt, vest and cropped peasant top. Gypsy skirt, vest and cropped peasant blouse. Add your wings to this outfit and a fairy or woodland sprite you shall be. 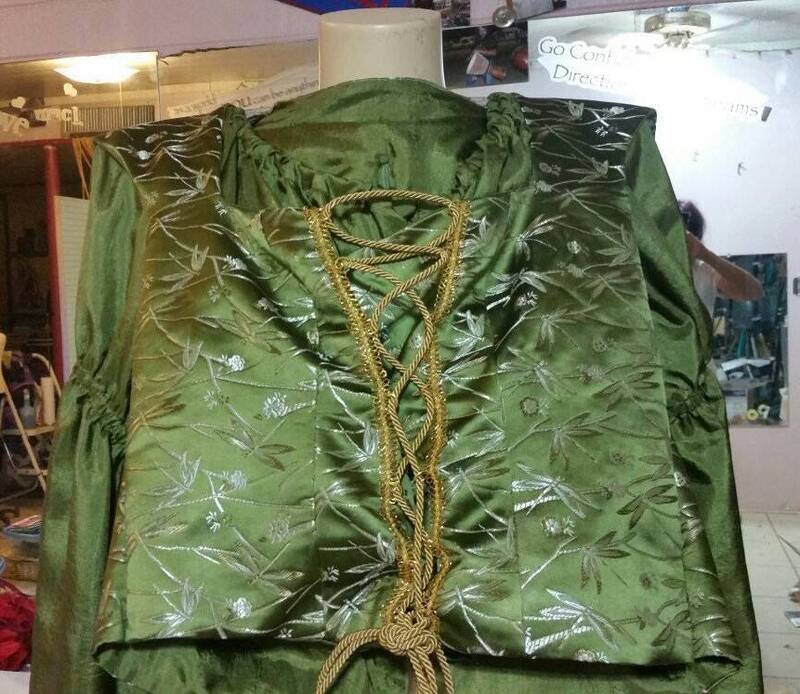 The "Deonette" is pictured with a vest in Green Chinese Brocade. Laces up the front. Skirt and top are silkesse. 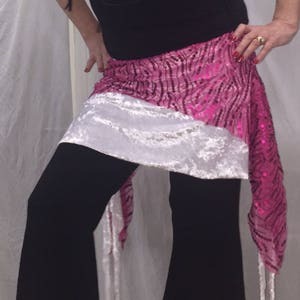 This gypsy type skirt has an attached overskirt. Underskirt is an olive green silkesse and overskirt is a sheer shimmering gold. The cropped top has elastic at neckline and shoulders and under the bust. The sleeves have elastic above the elbows and flairs out into a bell. 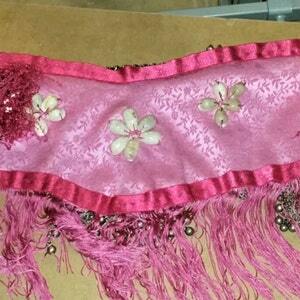 The "Deonette" is perfect for gypsies, fairies or renfaires. Made to order in your color choice(s) and size.